I wasn’t sure what to expect from The Darkest Lies by Barbara Copperthwaite as I hadn’t read the blurb before I started to read it. I got it on the because of the author and her reputation for writing great books. Although I have a couple of her books on my Kindle I have yet to read them, but I was keen to read this one. The storyline is a good one, Melanie’s much-loved daughter goes missing and is soon found beaten and left for dead in the marsh that is close to the village that they live in. Frustrated that the police seem to be getting nowhere, Melanie decides to start investigating what happened herself, aided by an old friend from school who has recently returned to the area. It soon becomes clear that people in the village are hiding things and know more than they will tell, but also that there is someone in the village who is dangerous and it seems that Melanie’s life might be at risk. The story is cleverly woven and you can’t help but feel compassion for Melanie, even though many of her actions are questionable and she upsets many of the people living around her. There are plenty of twists and turns to keep the reader guessing and the marsh setting becomes so real it is like a character in itself. I will definitely be reading more from Barbara Copperthwaite. Thank you to the author and publisher, Bookouture, for a copy of The Darkest Lies via Netgalley. Barbara Copperthwaite is an Amazon UK best-selling psychological crime author. Barbara’s writing career began over 20 years ago when she became a journalist. She has written and edited for a number of national magazines and newspapers. At the start of her working career she also worked in a men’s maximum security prison. It was there that her fascination with crime began, as she realised that bad guys don’t always seem that bad – and are often charming. Interviewing real people who have been victims of crime, either directly or through the loss of loved ones, consolidated Barbara’s interest in crime. As a result, she knows a lot about the emotional impact of violence and wrongdoing. That’s why her novels are not simply about the criminal act, but the repercussions they have. People are always at the heart of her thrillers, along with a genuine ability to get under the skin of even the most evil of characters. This insight is what has propelled both of her novels, INVISIBLE and FLOWERS FOR THE DEAD onto Amazon’s bestsellers charts, and led to rave reviews. The Darkest Lies by Barbara Copperthwaite is out now and available from Amazon UK and Amazon US. Dead Souls by Angela Marsons. Regular readers of this blog will know how much I love Angela Marsons and her DI Kim Stone novels. I’ve read them from the beginning before they became super popular and earned Marsons’ numerous bestsellers in many languages across the world. All of the books are written so that they can be read as a standalone but I strongly suggest that if you have yet to read any Kim Stone books, that you start with Silent Scream, the first book in the series. As a huge fan of Angela Marsons and DI Kim Stone, the bar was set very high for this, the sixth book in the series. I’m always excited to read a new Kim Stone book, but a little bit worried that I might not like it. I certainly didn’t need to worry about Dead Souls. Right from the start, it sucked me in and I absolutely loved reading it. The book talks a lot about hate crimes, something that is not always easy to read but feels so very topical in a post-Brexit world. Marsons had clearly researched the subject at length and this shone through in the writing and storyline and giving the reader plenty to think about. I loved how Stone was given new challenges and taken away from the comfort of her team and especially her sidekick Bryant. But we also got to know more about the rest of her team which was great, especially Stacey who until now has been a small but important character in the books, this time she got to do a lot more than sitting at her desk searching the computer, it reminded the rest of the team, and the readers, that she is a police officer and not just a computer geek. Of course, things for Stone and her team don’t go smoothly and the finale is a tense and shocking read. I really don’t know how Marsons manages to keep the standard of writing so high, so many times you start a new series and love it but as time goes on they start to become a bit old and predictable, not so with this series, each one has been a brilliant read and this one, I think, might just be the best yet. Thank you to the publishers, Bookouture, and the author for a copy of Dead Souls. Angela is now signed to write a total of 16 Kim Stone books for http://bookouture.com and has secured a print deal with Bonnier Zaffre Publishing. Dead Souls is out now and available from Amazon UK and Amazon US. 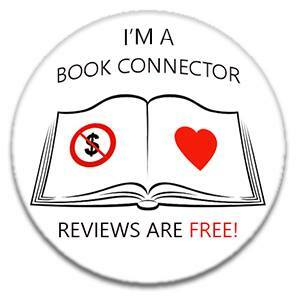 You can read more of my reviews of Angela Marsons’ Kim Stone books here and here and a review of one of her non-crime books here, I also did a Q&A with the author which you can read here.